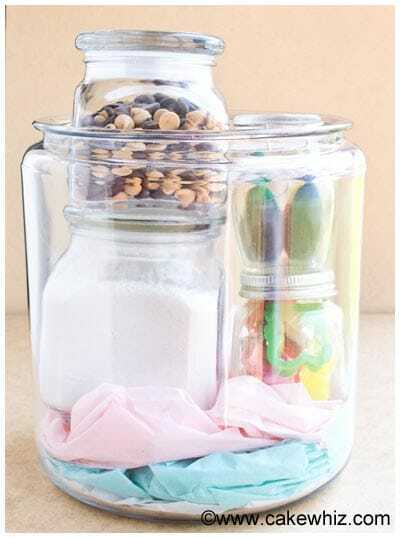 Use this tutorial to make a beautiful homemade baking kit in a jar. 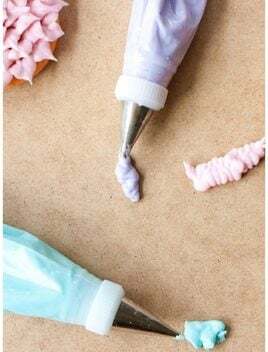 Great gift to give to bakers and cake decorators on Christmas or Mother’s Day! 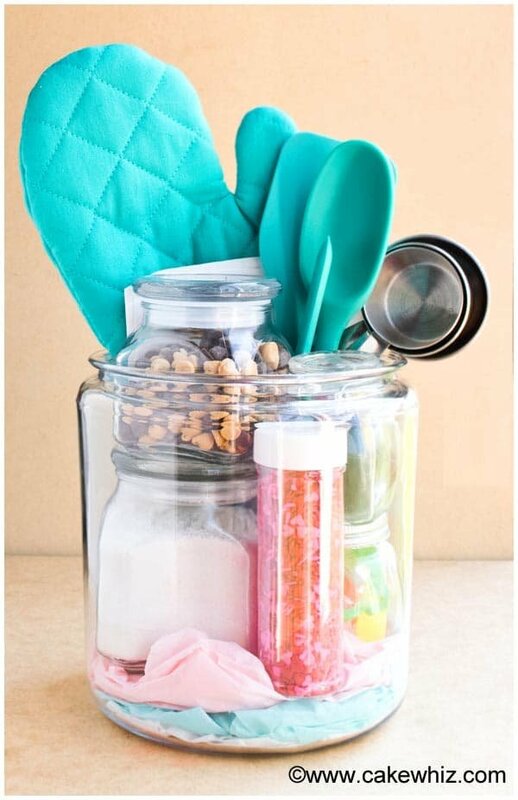 I am a big fan of giving homemade gifts to my family and friends such as this homemade baking kit in a jar. 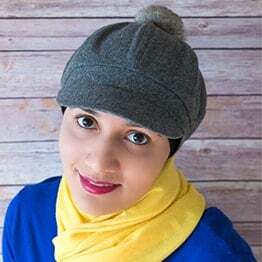 It’s such an ELEGANT gift and you can get really creative with it. This year, for Mother’s Day, I am inviting my Mom and Grandma for a fancy brunch and I will give each of them this pretty homemade baking kit. 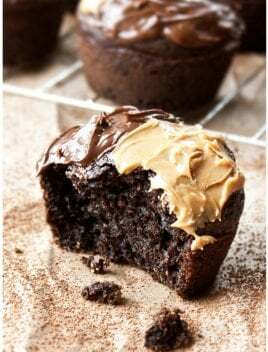 I know they are gonna love it coz they both ADORE baking. 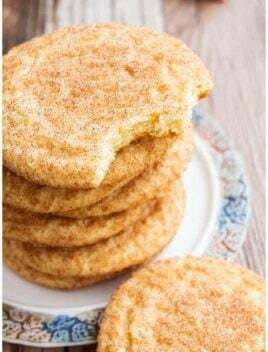 My fondest MEMORIES from my childhood are baking with my Mom and Grandma. I remember standing on a little chair and they would be guiding me along, while I would be making a huge mess…hehe. I will forever be grateful to these two women for introducing me to the world of baking…That is truly the one thing in my life which relaxes me and it’s almost THERAPEUTIC. Quite frankly, I would not be what I am today, if it wasn’t for their presence and GUIDANCE in my life. Any time I feel like I am getting over-whelmed, I think about these women and their incredible patience and give them a call. Even now, they talk me through whatever issue I am having and calm me down with their infinite WISDOM. I know we should always tell people how much they mean to us but it’s excellent to have a SPECIAL day dedicated to celebrating these amazing women in our lives. Anyways, while choosing a card for them, I settled on an flower bouquet design for my mom (who loves gardening!) and a teapot design for my Grandma (who is very fond of tea!). They are both from American Greetings and I LOVE the sparkle on both of them. I was planning on wrapping the entire jar with wrapping paper but I DIDN’T want to hide all the ingredients. So, I stuck a bow on the side of the jar. Both, the bow and tissue paper, are from American Greetings. 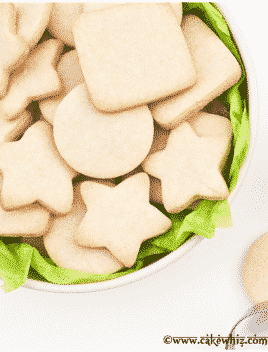 – For the sugar cookie mix, I simply added all the dry ingredients from my sugar cookie recipe into a jar. 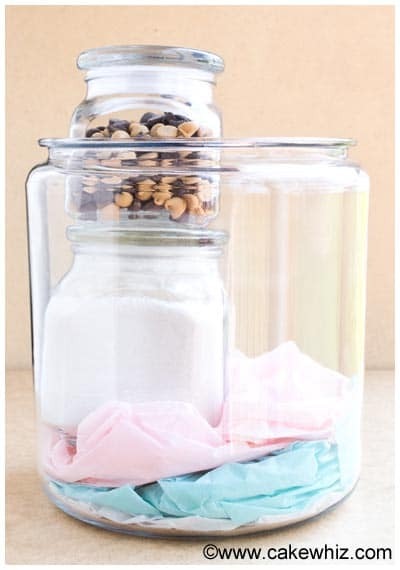 You can double the recipe if you like, depending on the size of your jar. 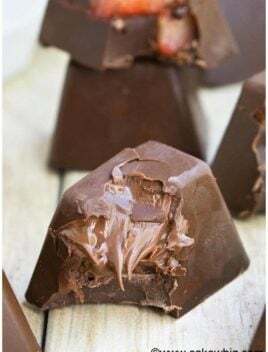 – I wrote the recipe by hand inside the card. It was more personal this way. 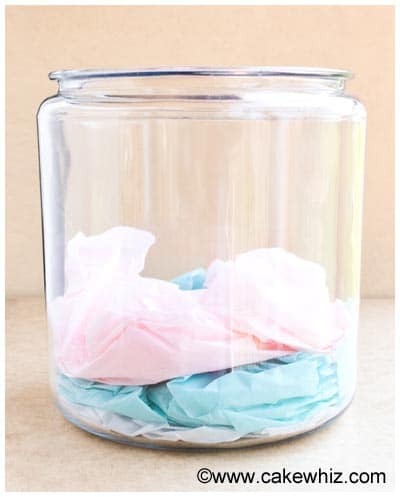 Place a few sheets of tissue paper at the bottom of the big cookie jar. 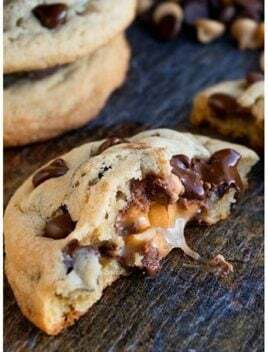 Place the dry cookie mix jar and chocolate chips jar on top of one another near the side. 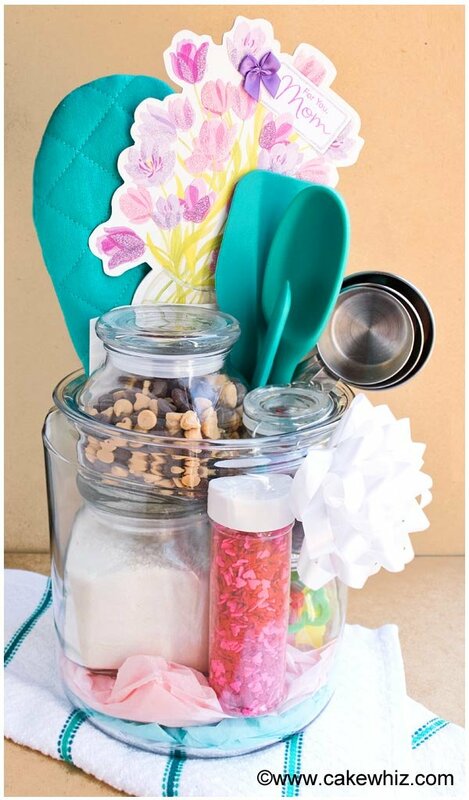 Place the food coloring jar and cookie cutter jar on the other side. 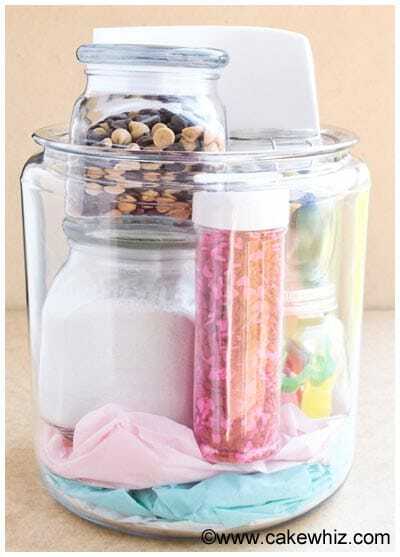 Place a few sheets of parchment paper near the back of the big jar and a bottle of sprinkles near the front of the jar. 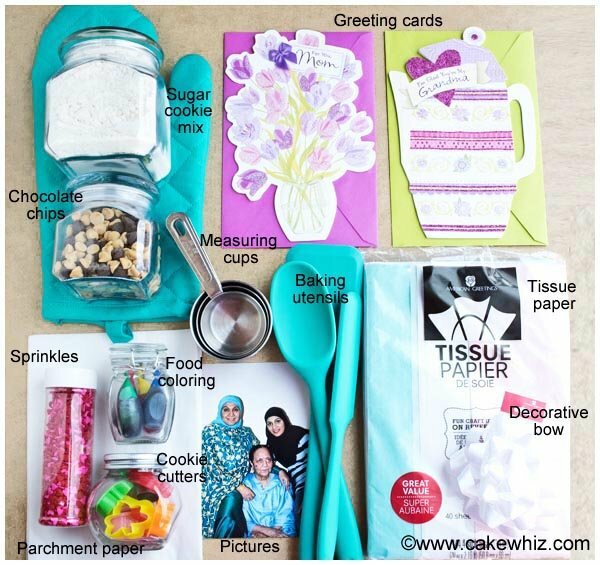 Fill the empty space with an oven mitt, baking utensils and a greeting card. 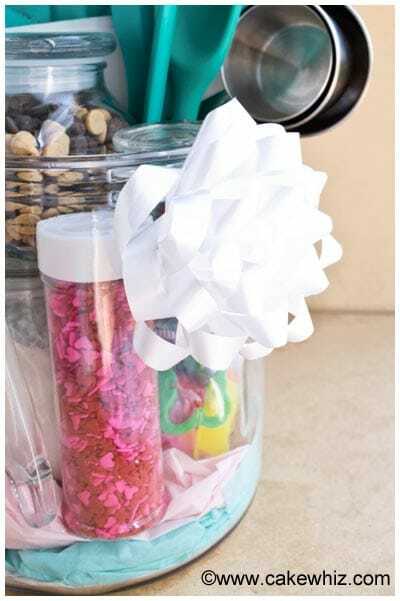 Attach a bow on your big jar. 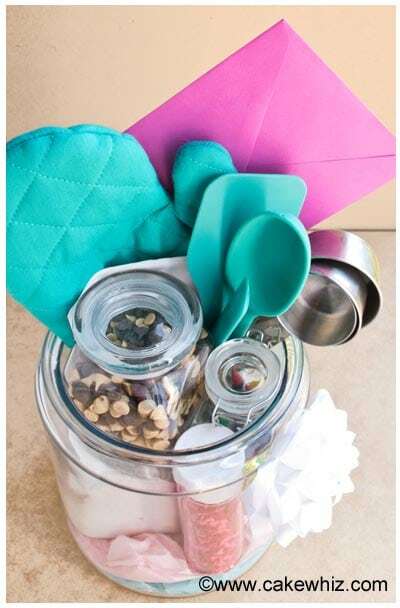 And you are done making your homemade baking kit in a gift jar.